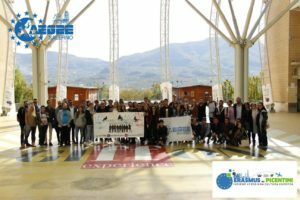 Last October, AEGEE Salerno organised an Erasmus+ project that contributed to the Focus Areas of Civic Education and European Citizenship. As recognition for such a wonderful project, they have been elected as ACTive Local of October. 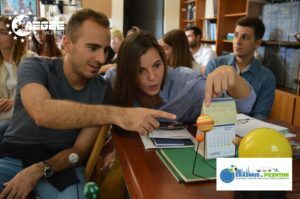 We talked to Sonia Della Sala, HR responsible of AEGEE-Salerno and co-coordinator of the project named “Erasmus nei Picentini”. 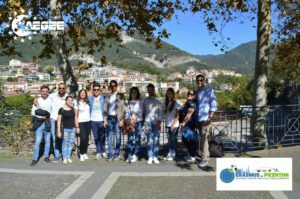 She was the co-coordinator because the project was idealised, finalised, and delivered by Coordinamento Provinciale dei Forum dei Giovani di Salerno and AEGEE-Salerno. ACT: Which emotions did you have when you knew that AEGEE-Salerno was chosen as ACTive local of October? Sonia: Well, happy will be too reductive! I remember we were at our AEGEE-Salerno office at Università degli Studi di Salerno when we read the communication. Our first reaction was silence, then the President moved his eyes from the computer screen and looked at us with a big pirate smile on his Jack Sparrow’s face and we hugged each other. For sure we felt proud of our hard work, sleepless nights and early wakings. There was more than one motivation to be honest. I will try to be as brief as possible, promised! After we signed our agreement on mutual cooperation with Coordinamento Provinciale dei Forum dei Giovani di Salerno during our Summer University “Non Solo Sole -XXIX Edition- InSpiring eUrope” we decided to start official cooperation with “Erasmus nei Picentini”. 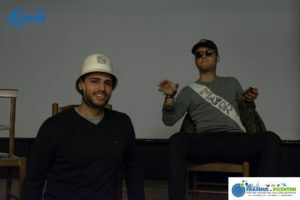 It took place right after “Erasmus Welcome Days” (that AEGEE-Salerno organises twice a year to welcome incoming Erasmus and International students). 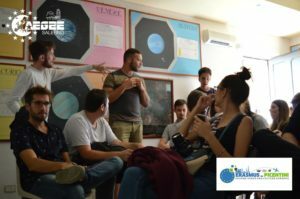 We wanted to introduce our local European history and international visions to foreign students with AEGEE flavor. Ideas came during long talks between Forum Giovani and AEGEE-Salerno. 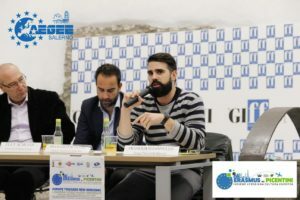 I was content manager of our Summer University and a member of CEWG and together with Francesco Barbarito, who is Coordinamento Provinciale Forum Giovani di Salerno External Relations Responsible and AEGEE-Salerno member, “Erasmus nei Picentini” happened! The idea was to combine history, science, arts and beauty with AEGEE’s Civic Education and European Citizenship Focus Areas. Three cities of the province of Salerno were selected for this project to come true, each one of them selected for a specific reason. Montecorvino Rovella -known as “Science City” because it hosts the astronomical observatory dedicated to the famous local astronomer Gian Camillo Gloriosi, which in 1989, for the 20th anniversary of the Moon landing, held an international initiative where among the guests there were Micheal Collins (Apollo11), astronauts Cristiano Cosmovici and Patrick Baudry, and cosmonaut Yuri Romanenko. The observatory received numerous awards from famous national and international bodies for its research (especially on the extragalactic supernovae and the photometry of the minor bodies of the solar system). Now the Technological and Environmental Multimedia Centre European Planetarium San Pietro is under construction. San Cipriano Picentino because it had the privilege to host Benedetto Croce who was one the founders of “Liberal Italian Party”, which is the founder party of the world federation of liberal and progressive democratic political parties “Liberal International” and party member of the “European Liberal Democrat and Reform Party”, now known as “Alliance of Liberals and Democrats for Europe”. Giffoni Valle Piana because it is the venue of the “Giffoni Film Festival”, now known as “Giffoni Experience”, which aims at promoting the knowledge and circulation of products of high artistic value which contribute to the formation and cultural growth of a mature critical conscience in young people. Throughout this project, our main goal was to sow intercultural learning among foreign students on the importance of active citizenship, so to foster a stronger European culture. When we opened the Open Calls for Erasmus students in Salerno the response was surprising. We reached more than 60 applications. Only 50 have been selected based on motivations given. The feedbacks we received were positive. Both AEGEE-Salerno members, international students and Forum Giovani were participative to workshops. Usually, we inform members about the Action Agenda on several occasions: during general members meetings, for instance, when the board presents the activities planned for the upcoming month. We also have a Whatsapp and Facebook group in which we spam OCs for EBs, Task Forces, AEGEE-Europe Projects and so on with a general introduction on the topic. During LTCs and Agorae Preparation, we go into more detail on the Strategic Plan and Action Agenda. Anyways, every members meeting is a good occasion to recap on AEGEE’s mission and vision. Too much info is hard to store all at once! Of course we do!! Action Months are approaching fast and we are looking forward to it. We have already planned February according to the guidelines YDWG sent. 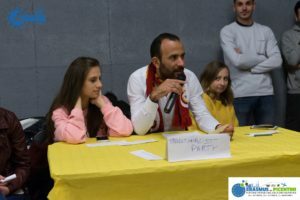 In March we are going to focus on our Internal Project “Civica Civitas”, while in April we are going to host the prestigious conference for the Franck Biancheri Award. Stay tuned because you are going to hear about it soon!!! Personally, as Vice-speaker of the Human Resources Committee of AEGEE-Europe, I would say that organising activities related to Action Agenda/Strategic Plan could be a good recruiting strategy. It is the best way to show to externals what AEGEE really is and does. The impact that it can have on youngsters. The purest motivation to join AEGEE comes with participation, without having to explain what AEGEE is and does in a few minutes -because it will still look ridiculously impossible after a few hours!! Quite a few, actually. Planning beforehand is definitely one. Download and store guidelines is for sure a start, especially if you will eventually read them. Co-operation with a close or twinn antenna is another tip. Keep a constant eye on OCs, especially on projects and try possible combinations. 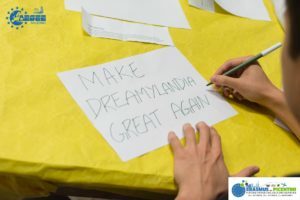 I do not feel to go much into details because every local has separate needs, but for sure thematic activities could come in handy to solve attendances at events, as in make sure to organise a thematic activity as part of a general local assembly (or members meetings to sound less Dutch). AEGEE-Salerno was founded in 1989 by Fabrizio Moscati. As soon as AEGEE-Salerno was founded, in the same year we hosted “Autumn Agora Salerno 1989” and “Non Solo Sole – Summer University”. In 2003 we have been awarded “Best Summer University” and this year we are going to host our 30th edition of “Non Solo Sole – The Show mUst go on”, so stay tuned! Currently, we count 50 members of which 20 are active (but 10 are super active-productive). Our board is composed by six members, two of which are active on the European level: Federico Melella, AEGEE-Salerno IT responsible, and IT team of Europe on Track 5; and Sonia Della Sala, former vice-President and AEGEE-Salerno HR responsible, also vice-speaker of Human Resources Committee of AEGEE-Europe, member of Civic Education Working Group and Migration Interest Group of AEGEE-Europe, as well as sub-commissioner of Francesca Zorcolo for the Rainbow Locals. We do not have any committees, we prefer working groups. According to the specific needs we create a WG. One that has been going on for a while now is the “Translations Working Group” which has worked on the translation of the Statute of AEGEE-Salerno (currently under approval of the JC) and on the translation of events descriptions in different languages. We also have WGs according to the European events we host, at the moment we have FBA WG and SU WG. ← Become an EU Careers Student Ambassador and Step up Your Game!